An affiliate program is a sure fire way to increase traffic to your website. It is a long term traffic building solution, not a time limited advertising campaign. The longer you run your affiliate program the more affiliates you take on to advertise your site and the more traffic you receive. With the traffic increases come revenue increases. With a PayPerPerformance affiliate program you only pay for results, such as a pay per sale program where you only pay affiliates if the visitor they send you actually buys something. So your affiliates are advertising your site with the sole aim of getting you customers. There is a affiliate marketing revenue calculator in the section 'What is an Affiliate Program?'. Example Figures:- These figures are only an example to demonstrate how affiliate marketing works. Figures are shown for the 1st and 12th month, then a total for the year. Actual figures will vary depending on your site. Are your competition running affiliate programs? There is a good chance they are, and if they are then they are the ones reaping all the benefits, and getting all your potential affiliates. You need to get your affiliate program running before they get too much of a competitive edge. 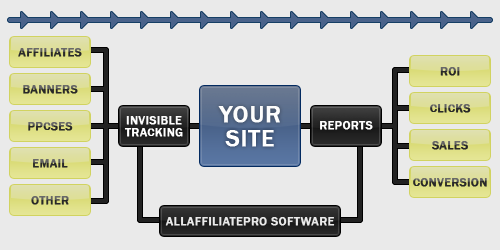 With AllAffiliatePro you'll be able to offer a much better deal to your affiliates than a standard affiliate program. If you find your competition do not yet have affiliate programs then this is your chance to get ahead of the game. And gain that competitive e-marketing advantage. An affiliate program compares very well to other forms of e-marketing. This is mainly due to the fact that with affiliate marketing you only pay for the advertising once you have already received the results. This removes the risk of paying for advertising that does not materialize, or live up to expectations. With a PayPerPerformance affiliate program you simply cannot lose, as you only pay for specific results of your choosing, after you get the results then you pay your affiliate commissions. As an added bonus, an affiliate program can greatly boost the revenue increases for your conventional advertising. For instance, if you did a large CPM banner advertising campaign, you could get $$ in increased revenues, but the campaign could also lead to you gaining several affiliates, which earn you $$ more long after the CPM campaign has ended. You can also calculate ROI for any e-marketing campaign, see below 'Tracking advertising results' for details. It can also be used to track the results of your conventional advertising so you can see exactly which marketing programs are leading to results. With affiliate tracking in place you can instantly calculate your ROI (Return on Investment) for any type of e-marketing campaign, such as PPC search engines, banner advertising, email campaigns, etc. This allows you to focus your marketing budget on those adverting methods which are actually leading to profits, and save on those which are unprofitable. This is of course a very important key in any marketing strategy. With an affiliate marketing program you only pay affiliates AFTER you have seen the results. There is no risk in being "ripped off" by fraudulent advertising programs, or paying for advertising which does not prove cost effective. If your advertising is only worthwhile if you pay less than $0.11 a click, then you can setup your affiliate program to pay affiliates $0.10 a click. If your advertising is only worthwhile if it costs below 21% of your increases sales, then you can setup your affiliate program to pay affiliates 20% of sales they refer. We understand that you may be comparing us to other affiliate solutions. We pride ourselves on honest prices and honest service. We do not promise the world for a few pennies, but give realistic solutions with reliable service. You will see our list of features and services is very strong, if you find anything you think we are missing then please contact us and we will consider all suggestions for the next version. We know of no affiliate software which can handle so many levels of MLM, with recurring scales so deep and true own branding. 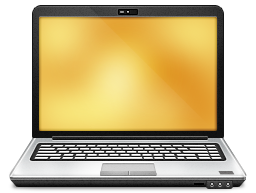 Also very few affiliate software products handle true multi site networks, with individual commissions. We offer very honest pricing and do not charge you a % commission on your affiliate sales. Most other affiliate providers host your program under their domain name, so affiliates are linking through their site and not yours. Check to see if your affiliate links will be counting toward your link popularity or theirs. We allow you to have your own affiliate domain to advertise (such as yourname-affiliates.com), instead of a sub folder on our site. If you've been an affiliate yourself then you will know the scenario. You land on a website offering an affiliate program. You go to signup and find you're taken to the site of another company, with a small logo of the site you were previously on. You proceed to signup and find yourself on an affiliate network, with lots of other sites to advertise. You bump in to one of the most popular sites, and end up advertising them instead. If you've been an affiliate before you'll know that we've all done it. If you run an affiliate program now, or are thinking of starting one up, do you really want this to happen? Open affiliate networks are great for the top 10 or so big fish feeding off most the affiliates the other advertisers signup. But an excellent marketing strategy can be greatly stumped by the loss of affiliates in this way. If you are already on an affiliate network you may already be experiencing this. If you are doing well on an affiliate network you will be seeing the skyrocketing costs from the high % commission on affiliate sales, often 30% or higher. If you have several sites then the costs can be quite extreme. When you choose to have a private affiliate solution like the ones we provide, you pay no % commission on affiliate sales. You keep all the affiliates you signup and have complete control over the system. If you have several sites then your own private affiliate network means you only share affiliates among your own sites. You can offer incentives and bonuses to attract high traffic and super affiliates. Have your own branding fully on the system, so it looks as if it were designed in house. With the savings you make you can offer better commissions to your affiliates, so it's a much better deal for them as well.